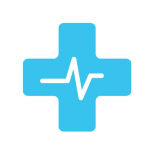 MedicoHealth (MHP) platform doctor-patient environment based on blockchain. MedicoHealth blockchain-based project is designed to improve the fragmented healthcare system, where we know we can make a signifcant difference for the better by tackling just one truly important issue. An average patient anywhere in the world has very limited options when in need of prompt, a ordable and reliable consultation about their condition from a physician or a specialist of their choosing. MEDICOHEALTH DAPP allows for fully anonymous, safe and e cient communication with world’s leading physicians. Physician credentials, together with license validity information are updated in an immutable decentralised database. Patient data is anonymously stored and accessed only by selected physicians for a limited amount of time. Payments are fully tokenised and anonymous. Token runs the system and compensates the service provider, platform, underlying protocol and blockchain layer use. Database of reviews and testimonials of other patients and doctors. Access to the doctors for a treatment and personal medical data  locally and worldwide. Testing Beta Version (not public). Developing the go to market strategy. Assessing technology readiness for scaled blockchain. Expansion to RUS and GUS. Expansion to US market and Latin America Establishing new partnerships with national and international health insurance companies - private and public ones. Establishing partnerships with hospitals using our Platform. Establishing cooperations with Clinical research and trials. For healthcare to work efficiently, patients, clinics, doctors and other healthcare professionals need to be connected to each other globally. The way to do that was found by creators of MedicoHealth Platform. MedicoHealth is a Blockchain-based project designed to improve healthcare. Let’s see how it works. John needs to choose a doc for a specific problem, so he uses Medicohealth cross device platform to find the perfect doctor for him based on their rating, prices, availability and specialization. John’s doctor has access to MedicoHealth Blockchain, which enables him to view John’s medical information anonymously through a secure database and comment on it. Doctor’s licenses can be checked through a regularly updated immutable database linked to a licensing authority. Doctors get compensated for their comments with our token that fuels the whole network, but that’s not all! MedicoHealth is not starting from scratch. Our curated database of 2.5 million positions is ready to use, and Blockchain makes this possible. MedicoHealth is connecting physicians and patients globally.